After installing IIS on any Windows machine, by default IIS Server listens on port 80. The same is true with Windows8.1. For most of the times, it works fine. However, in some cases we need to modify this port from 80 to a different port. One of the Scenarios where you might need to change this port is if you want to run Wamp side by side your IIS on your local computer. 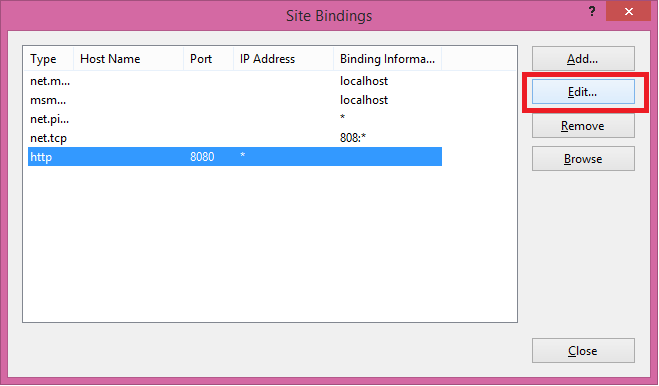 This post will explain how to change the default listening port of IIS from 80 to any other port of your choice. Select “Internet Information Services Manager” from the search results returned. 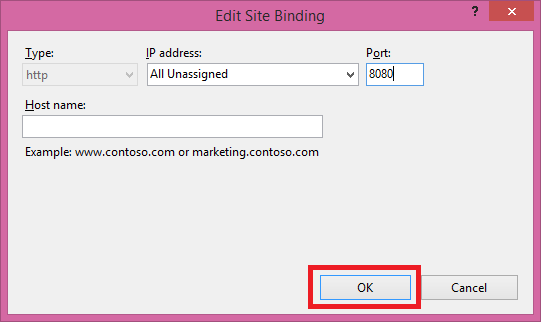 Select “Default Web Site” from the left tree in IIS manager. Click Bindings from the right sidebar to open a dialog box. Select “http” record from the grid and hit Edit. Enter your choice of port number in “Port” Text box and hit OK.
Hit Close on the parent dialog box to close the window. 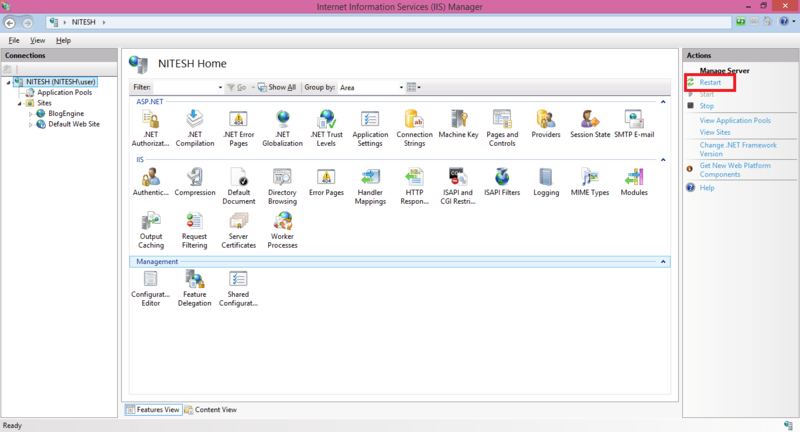 Select your server node again from the left tree and hit “Restart Server” from the right sidebar to restart IIS server. You’re done! Go to http://localhost:<YOUR_PORT>/ to browse your IIS at new port. Thanks for reading this post. Hope you like this. If you have any doubts or know other ways of doing the same, share them via comments.